Chromadepth is a patented system that produces a stereoscopic 3D effect due to the diffraction of color through a prism-like holographic film fitted into glasses. These Chromadepth glasses purposely shift colors into different positions in space, with red being in front, and blue being in back. The obvious advantage over other 3D systems is the lack of any color shift on the layout itself. 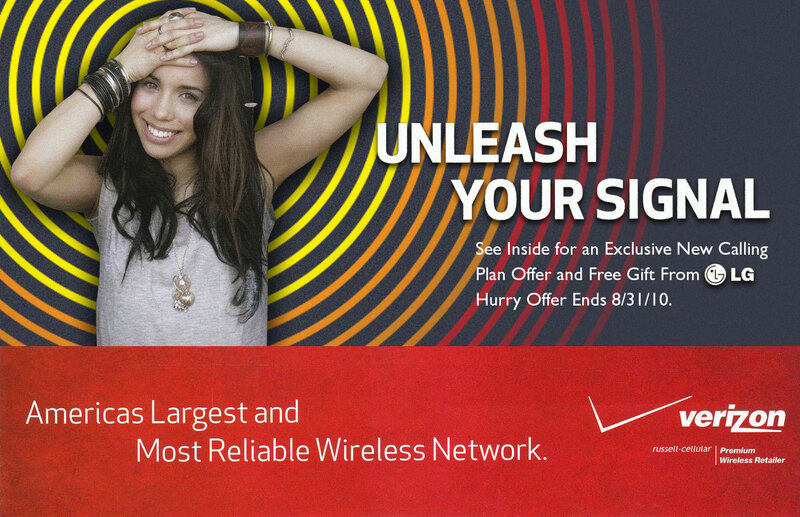 The concentric cycles that were a motif in the Verizon branding campaign were colored red to yellow against a dark blue background: with Chromadepth glasses these cycles “pop out” of the image.